No More COLD Coffees while Driving! This unique Stainless steel Travel Mug is perfect solution to keep your Coffee/Tea and other drinks warm while traveling. 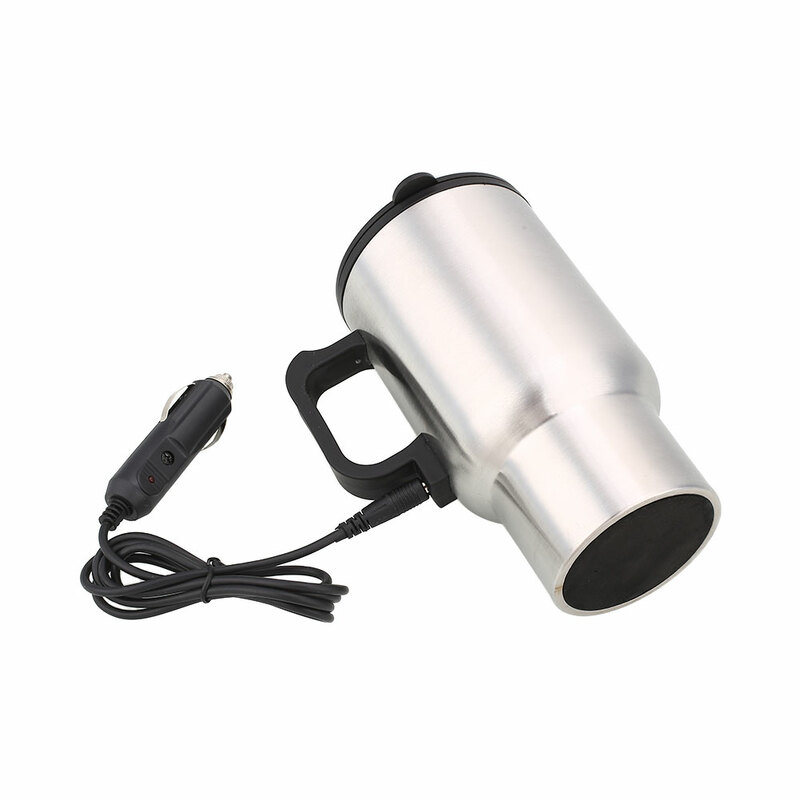 Best quality, heart winning Stainless steel cup is beautifully designed to heat you’re coffee via your car's cigarette lighter and maintains a temperature of 65°C to Keeping your tea or coffee warm and drinkable while you're Driving. So by just plug into your cigarette lighter using car adapter, the plug is equipped with a fuse for preventing overload & maintains a temperature of 60°C - keeping your tea or coffee warm (cannot boil the water). Ergonomically designed, fit most vehicle cup holders. Portable travel car heating water, coffee, milk, eggs, tea, also as a baby warmer. The Ultimate Travel Tumbler- This dual-walled, vacuum-insulated stainless-steel tumbler is the ultimate travel mug. We’ve improved on the weaknesses of most other tumblers to create a long-lasting tumbler that is safe to drink from, won’t shatter, leak, or spill, and will keep your drinks hot or cold for hours. Safety lid, Our lid’s sliding seal is made from food-grade silicone that can be safely washed in the dishwasher, and creates a perfect seal when closed. Guaranteed to be Leak-Proof and Spill-Proof. The utility model has the advantages of good antiskid and heat insulation performance, and can be stably placed on the vehicle, so as to prevent the road from bumping and falling when the vehicle is running.